Flat growing mats of tiny green leaves are studded with large golden yellow flowers in June and July, ht 4cm. 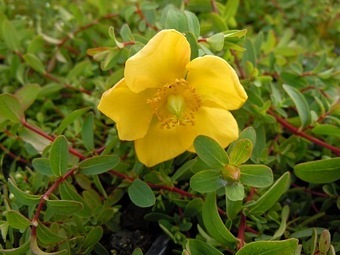 Thriving in most well-drained garden soils, this Hypericum prefers a sunny position. 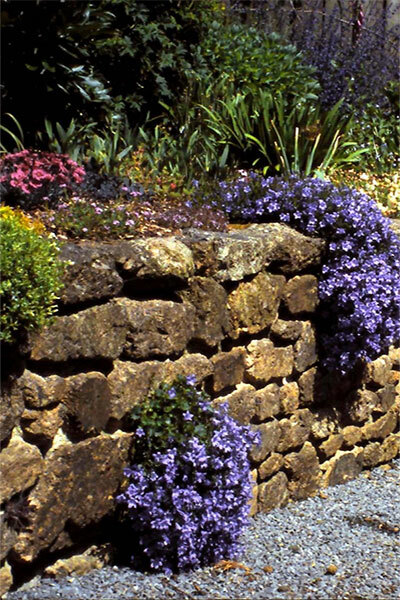 Perfect for growing in the rock-garden, as an edging plant or in tubs and troughs. 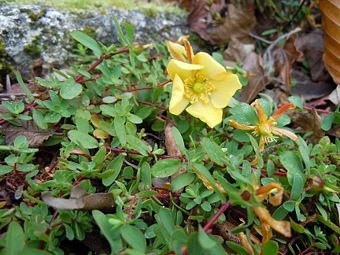 Leaves often turn red or yellow in late Autumn.